I was at the trail’s end. I hopped back onto the pavement and hobbled across it until I reached our van, and then collapsed against the side of it, finally able to throw my massive backpack on the ground in a huge sigh of relief. Every part of my body was aching. Bruises had appeared on my hips where my backpack had dug in, and my shoulders were incredibly sore. The huge bag that had been strapped to my back had been weighing down my shoulders, despite the fact that it had a strap readjust the weight to my waist and hips. But this strap had been continuously falling down throughout the entire hike, and therefore the weight had been switching back and forth. Ridiculously annoying if you ask me, and because of it my shoulders were now absolutely killing me. And I was finally starting to feel warm again. The night before had been sleepless and cold. 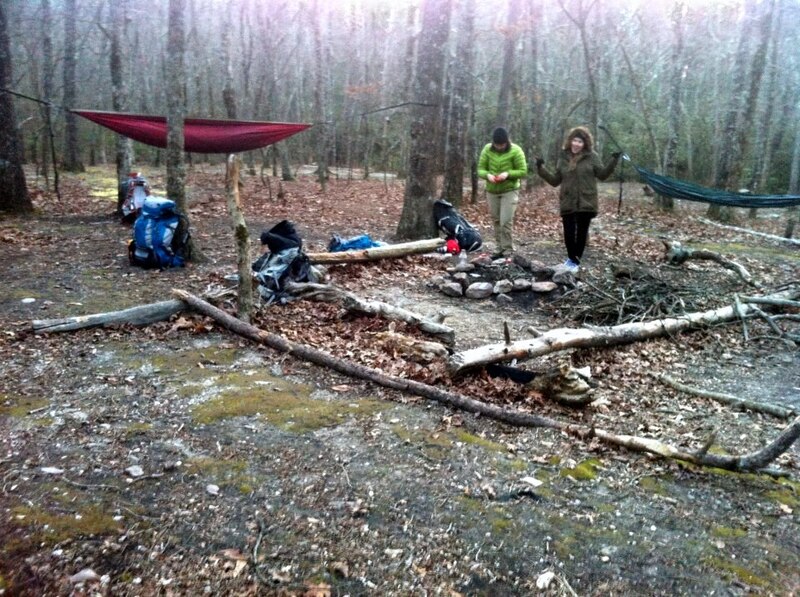 Temperatures on the mountain had dipped below freezing, and we had all huddled around the campfire wrapped in multiple layers, unable to escape the cold air around us. When it came to time to sleep, we dashed to our tents and sleeping bags as fast as we could, hiding ourselves away from the harsh air in our little shelters and attempting to find some way to sleep through the night. And of course, sleep was near impossible. 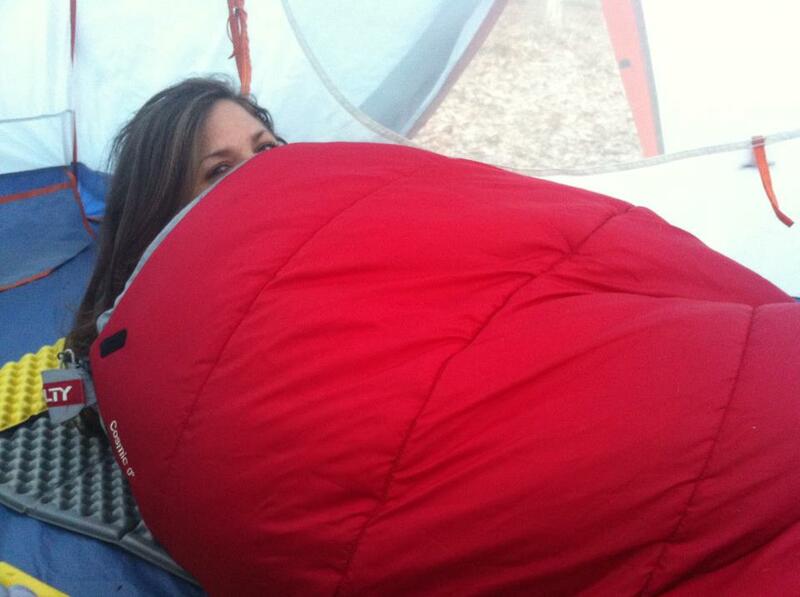 I had created a little cocoon for myself as a barrier between my skin and the cold, using my body heat to try to heat up the inside of the sleeping bag. My exposed face and skin I covered with a blanket, completing the cocoon, with only the top of my hat poking out. Although it may have been warm enough (meaning I wasn’t actually going to get frostbite or hypothermia) in my man-made cocoon, my feet were never warm. Intermittently throughout the night, I would wake up to the realization that my feet were freezing cold and needed an extra layer of socks. So in an attempt to make my feet warmer with another pair of socks, I would open up my cocoon to get a huge blast of icy, but fresh air after breathing the stale and recycled air of my enclosed sleeping bag. I would emerge to find that the top of my hat, the one part of me that had been exposed to the air, had a thin layer of frost over it. And THEN, I would reach out to grab my water bottle in order to hydrate my parched throat, only to find that it was mostly ice. Into my warm cocoon, the water bottle goes. And so the night continued in this exact way – being woken up by my cold feet, attempting to warm them up, gulping in some fresh air and taking a swig of my slowly defrosting water. I would also continuously have these dreams that dawn had arrived and the hot oatmeal for breakfast was busy cooking on the fire, only to be rudely awoken by, you guessed it, COLD FEET, to discover that all was still dark and cold around me. And when the sunrise finally did arrive, you can bet that I was not particularly rested. So as I sat there in the van, burden removed from my shoulders, reveling in the fact that my toes were at a comfortable temperature, and reminiscing on the interesting past night and weekend, I wasn’t cursing my decision to take part in this camping trip. No, I was smiling. I was so happy I had made the decision to take a weekend to just get away from campus and the parties, and get out in nature. Now, I have been hiking since I was 5 years old with my father and sisters, so I was no novice. 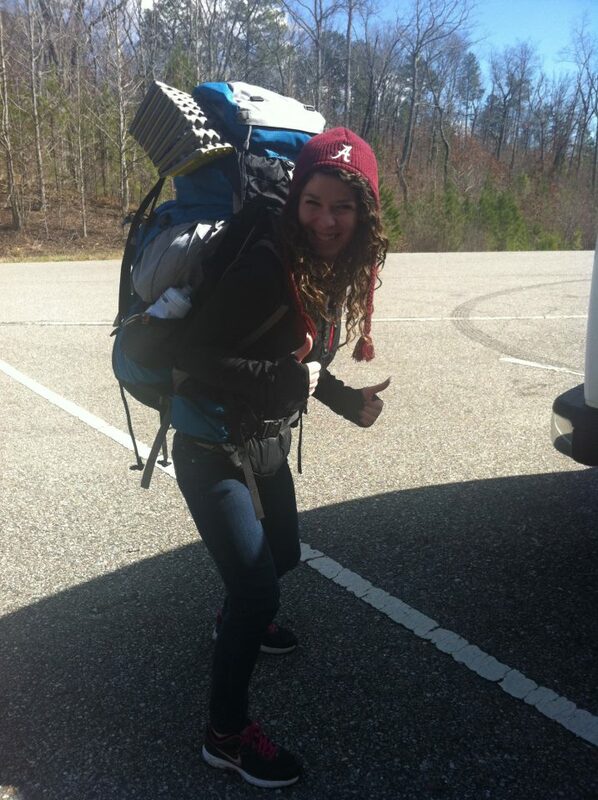 The two differences with this hike: I had to carry the most awkwardly large bag I’ve ever had on a hiking trip, since we were camping out that night, and it was cold. 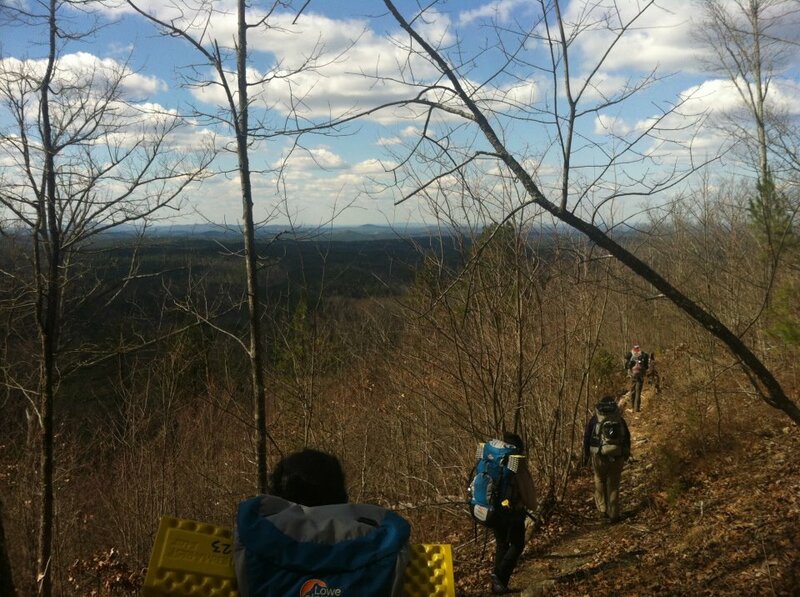 But despite all of the challenges and sleeplessness this hike brought with it, yeah, I was glad I went. Why? Because it’s worth it. Hiking always is. It’s worth it to be able to walk through the peace and quiet of nature, alone with your thoughts, your shuffling footsteps, and the sound of the soft breeze as it moves through the leaves of the trees around you. 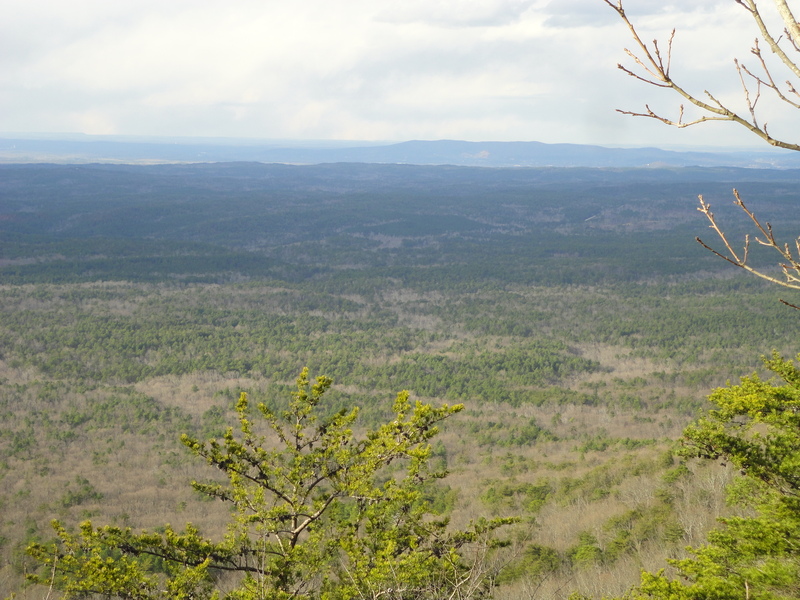 It’s worth it to breathlessly reach a rocky outcropping, and to feel breathless once again as you look out over the view in front of you – at the picture-perfect blue sky, the thousands of trees, and the rolling hills and mountains stretching out beneath you and to the horizon. 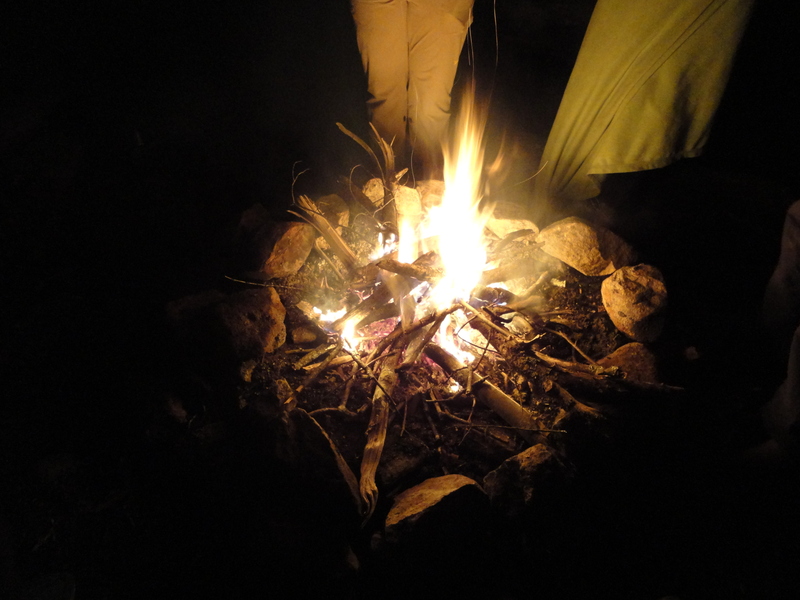 It was worth it to be able to huddle around the campfire that night, wrapped up in blankets, laughing and sharing stories for hours and connecting with people whom I had only just met. All while seemingly forgetting about both the air temperature and the ash that was constantly getting in our hair since we were huddling so close to the fire. It’s worth it to look up at the sky and see thousands and thousands of stars, shining brighter than one could ever see them back in any town or city, and then to look out from the wilderness of the mountain to see the lights of those towns and cities sparkling far below and in the distance. So would I do it again? I absolutely would, because it was worth it. 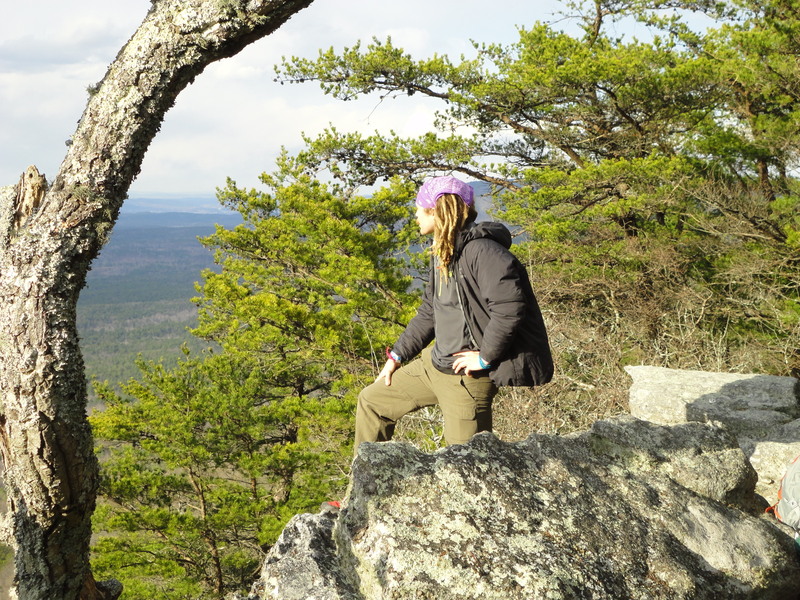 Mount Cheaha and the Cheaha State Park are located in Eastern Alabama in the Talladega National Forest, which contains many camping sites, hiking trails, and foothills of the Appalachians to climb. 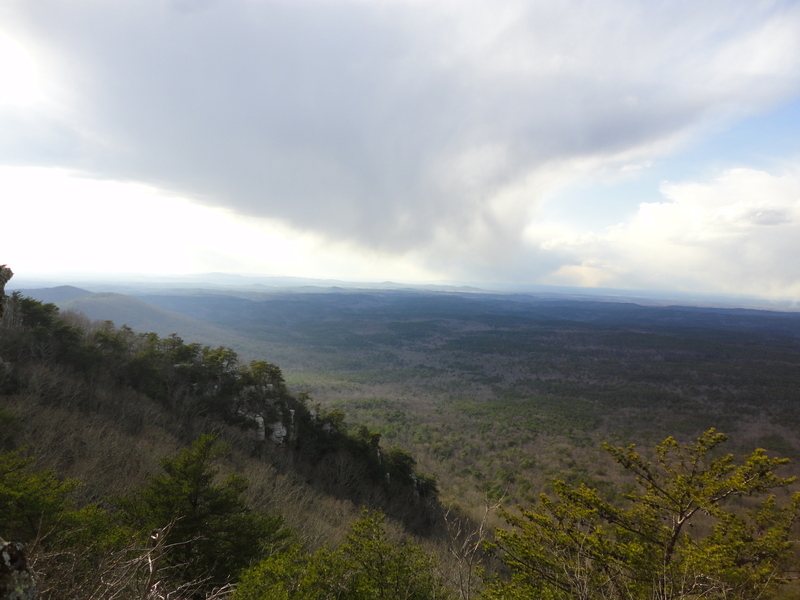 Cheaha is both the tallest foothill of this forest as well as all of Alabama, at 2,411 ft (735 meters) high. 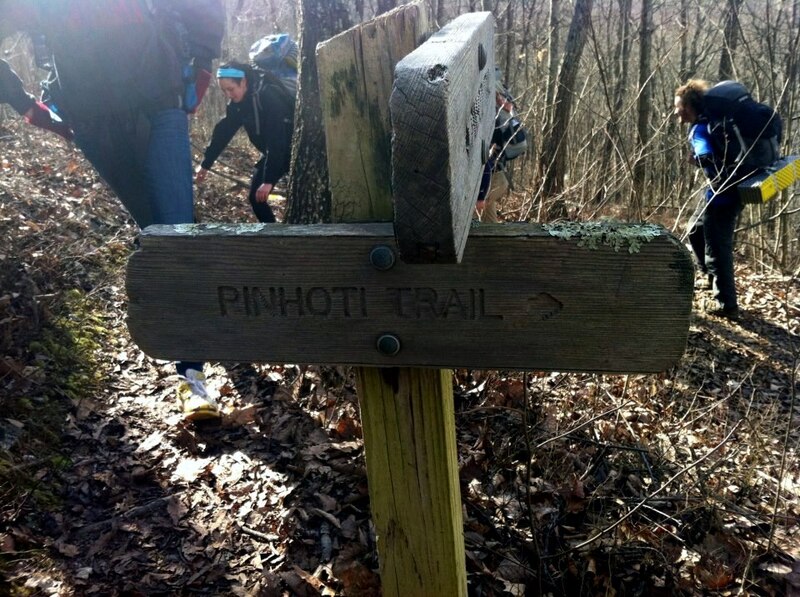 The trail we took was called the Pinhoti Trail, and it traverses through the woods to the highest point and then down a little ways to a camping site – about 6 miles. To the camping site and back the next day resulted in a total of 12 miles of hiking, and minus a very steep hill at the beginning and some boulders to scramble up at one point, the terrain was pretty easy-going. 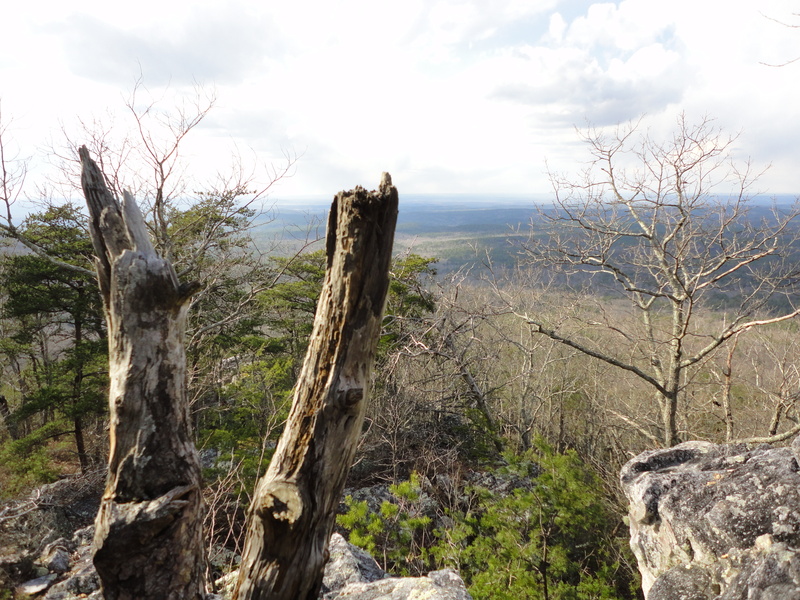 Cheaha State Park is about a 2 1/2 hour drive from Tuscaloosa, and if you are coming from Birmingham probably more around an hour and 45 minutes. can i just say this post made me want to go hiking. i envy you. 🙂 ahhhhh…. super like!